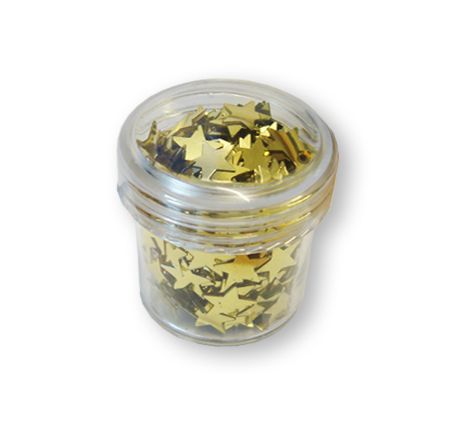 A small tub of gold metallic stars. Use them as table confetti, card making embellishments or to put inside shaker domes to create gold glittery effects in your shaker cards. The stars are approximately 1cm wide, supplied in a handy screw top container.